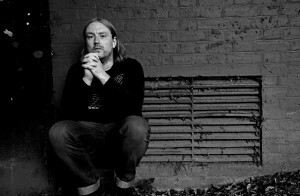 Dan Carney, formerly of critically acclaimed East London alt-folkers Dark Captain, started Astronauts as a new solo endeavour – enlisting help from friends and on occasion former band-mate Michael Cranny. His debut single ‘Skydive’ was released in June 2014 and enjoyed instant viral success; spending a week in the Hype Machine’s top five of 4,000 favourites and racking up over 120,000 plays on Soundcloud. This was closely followed in July by the album ‘Hollow Ponds’. My old band had stopped and I had also broke my leg in three places (these two events are not related)! I spent about three weeks in hospital, all dosed up on morphine and wondering what the hell was going on, and resolved to just get on with what I wanted to do, which at the time – as ever – was to make more and more music. Lots of sitting around waiting for inspiration to show up. Astronauts was never meant to be a gigging thing really, I just wanted to make a record that I could be really proud of, and which reflected where I was at, at the time. The gigs just followed, I’ve only ever responded to interest and offers from people. Last month [Feb 2015] we went round all of Italy, and we’re off to France, Luxembourg, and Belgium in a couple of weeks, so I think that now I am hungry for more, yes. I don’t know, things have gone pretty smoothly so far. Boring answer, but I’m very happy with how it’s progressed and the reaction it’s had. At the risk of sounding airy and vague, it just seems to happen. I’ve always got a folder of songs on the go, or a little notebook full of ideas that occur to me. It’s just a constant struggle to get to a point where everything is finished, a struggle I never seem to win! To be recognised in the Queen’s end-of-year honours list. Anything less would represent a resounding failure. I’d like to be remembered as: 1. Someone who made at least three albums under the name Astronauts, 2. Wrote the odd song that was pretty good, 3. Was a spokesman for a generation, and 4. Dragged humanity into a new phase of creativity, peace and understanding. All depends on my mood! 8. Describe your music as if it were a fine wine. Full-bodied, with a creeping sense of dread. Nothing else, really. I’ve tried doing other stuff but just end up thinking about music making while I’m doing it.